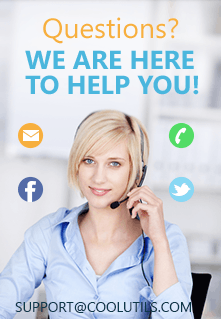 How to create a report on PDF files? Dealing with documents often implies making up reports on their characteristics like page count, compression types, sizes, date of last modifying, etc. Of course you can create a report on your PDF files manually, but you will spend a lot of time on gathering this information. Moreover, not all the info is displayed in standard document description. Updating such reports with data about new portion of files also requires much time. You can reduce time spends on creating reports with the help of Tiff Teller from CoolUtils. It is perfect for automatic detecting various parameters of PDF documents and recording them to reports in a suitable format. Rarer formats such as LaTeX, DIF or ODT are also supported. 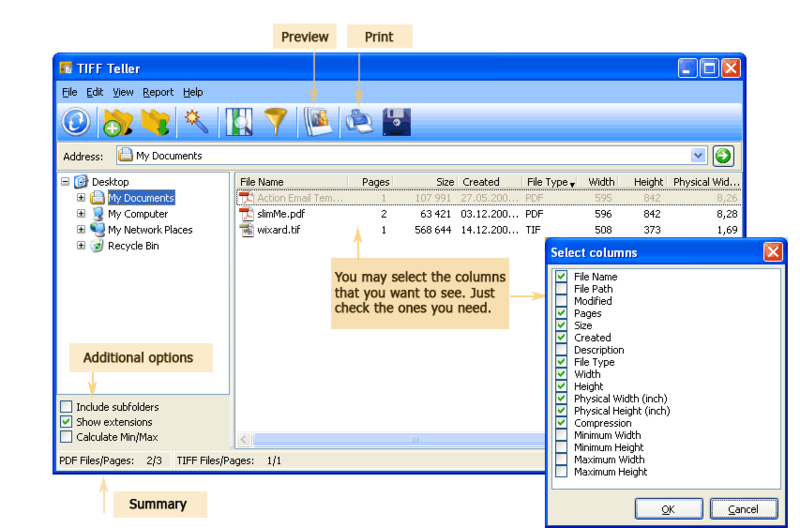 The program generates report about all the files from the selected folder. It processes only TIFF and PDF files. 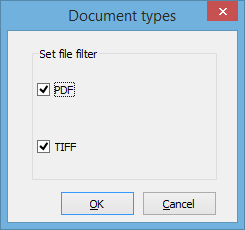 If you need a report regarding only PDF files from specific folder, then just filter them from the rest using automatic filter. To see the information regarding specific files you need to click on their folder. A file list with table of parameters will be displayed on the screen. You can manually choose which information to display by pressing the 'Select columns' button on the top menu. Check off the items you would like to view and press OK. If you would like to save the information about your PDF files to a separated document, press 'Export' button. There you will be able to choose the file format for your report, fields for export and a lot of other options. After settings are made press Start Export to get your report file. TiffTeller also allows to print generated reports. Download this useful utility in free trial and test it on your documents. You can be sure it will be a great helper! If you want to unlock the full potential of the app, select your license and place an order now. We will send the key in minutes. How Do I Count Pages in PDF files in Batch?